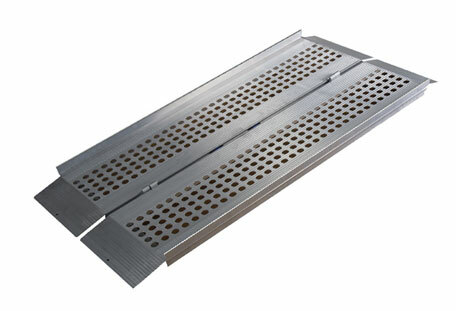 The single fold ramp is easy to handle and set up. 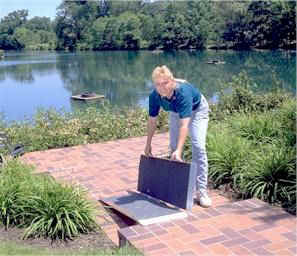 The ramp folds in the middle and has a convenient carrying handle. The ramp unfolds to your choice of 28.5" or 30" wide platform that is ideal for 3 or 4 wheel scooters and electric wheelchairs. Other features include light weight construction, high traction safety tape on the surface of the ramp or preforated surface with traction and a 600 to 700 lb. weight capacity.